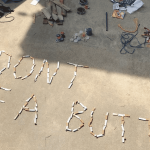 OBX 5 Minute Beach Cleanup – Leslie Vegas has always been a trash collector, so it’s no surprise that N.C. Aquarium employee found a way to encourage others to just take five minutes and do the same, particularly when they are on the beach. 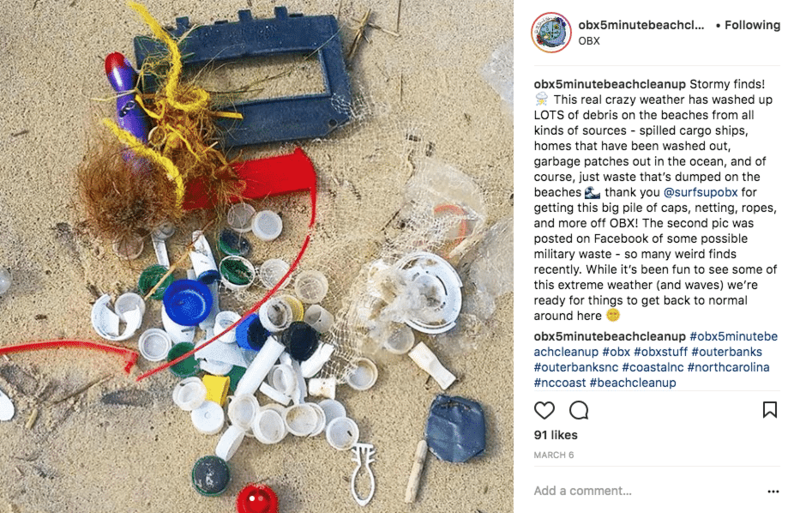 A native of West Virginia, Vegas launched the popular Instagram campaign called #obx5minutebeachcleanup as a venue to push her cleanup movement while giving people a unified location to post photos of the trash they collected on the beach. Vegas says the pop-up beach cleanups are a way to get tourists involved who may not see the campaign on social media. 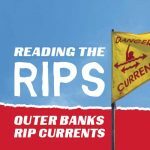 She plans to involve local businesses and artists by offering prizes that include local products and gift certificates from certified Ocean Friendly Establishments. 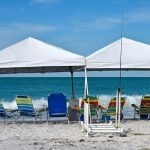 Prizes could be awarded to beachgoers who collect the most trash or have the most unique “trash find” during the pop-up sessions. “The pop-up cleanups won’t last more than 15 minutes and my hope is to get the idea across that even though the beach looks really clean, plastics are everywhere,” said Vegas, adding that she often tags brands that trash collectors are mostly finding. Vegas also hopes to begin compiling data, such as what is being found most often on the beach and where it is coming from. From her perspective, she’s seen a lot of tiny plastic fragments, plastic bottle caps, cigarette butts and balloons and balloon strings. Aside from the impromptu cleanups, Vegas also plans to hold more organized cleanups and has one already scheduled on April 14 from 10 a.m. to 2 p.m. in collaboration with the Town of Duck. The sound side cleanup will include an educational message about how sound side pollutants impact the ocean environment. 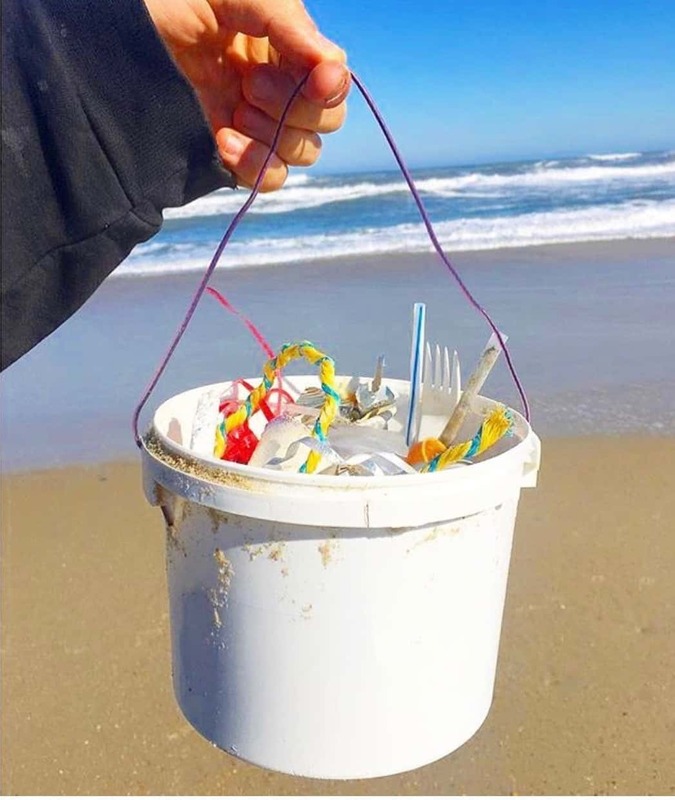 Vegas works in the husbandry department at N.C. Aquarium on Roanoke Island, and got the idea for obx5minutebeachcleanup from the global movement, in which she asked organizers if she could start a local version. The campaign also has a Facebook and Twitter presence. Vegas, who singlehandedly spearheads the campaign, says she hopes to see it eventually become a non-profit. 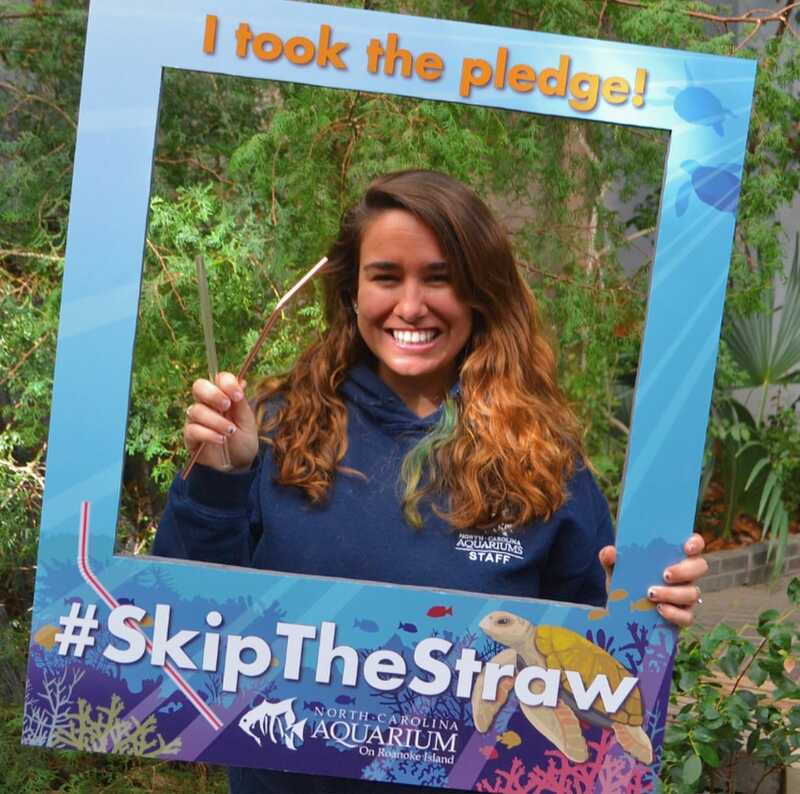 She added that the aquarium has been supportive by helping with printing obx5minutebeachcleanup stickers and providing a behind-the-scenes pass as one of the prizes. Much of the start-up costs, including the creation of logo and prizes, has been at Vegas’s expense, however, Vegas said she is grateful for any support from local businesses. Vegas is also certainly grateful for any helping hands as she continues to push for cleaner beaches.